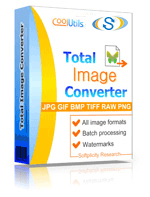 Transform JP2 to TIFF raster images online and without ads! Use the JP2 to TIFF Online Converter here or get a batch App for more! Description JPEG2000 is an update to JPEG format that provides better compression rates, lossless compression support, up to 24 bit color depth. It unites a family of formats such as JP2, JPM, JPX, MJ2. Compared to JPEG, compression used in JPEG2000 provides smoother image within the same file size. Due to using wavelets on high compression levels there are no block grid 8x8 pixels. It also supports progressive compression that makes the picture cleaner during the load (blurred image turns clear).